Best Presents for Girlfriend. 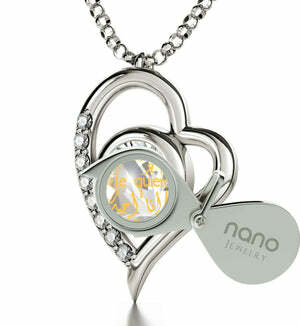 Shop Now for 925 Silver Nano Jewelry! 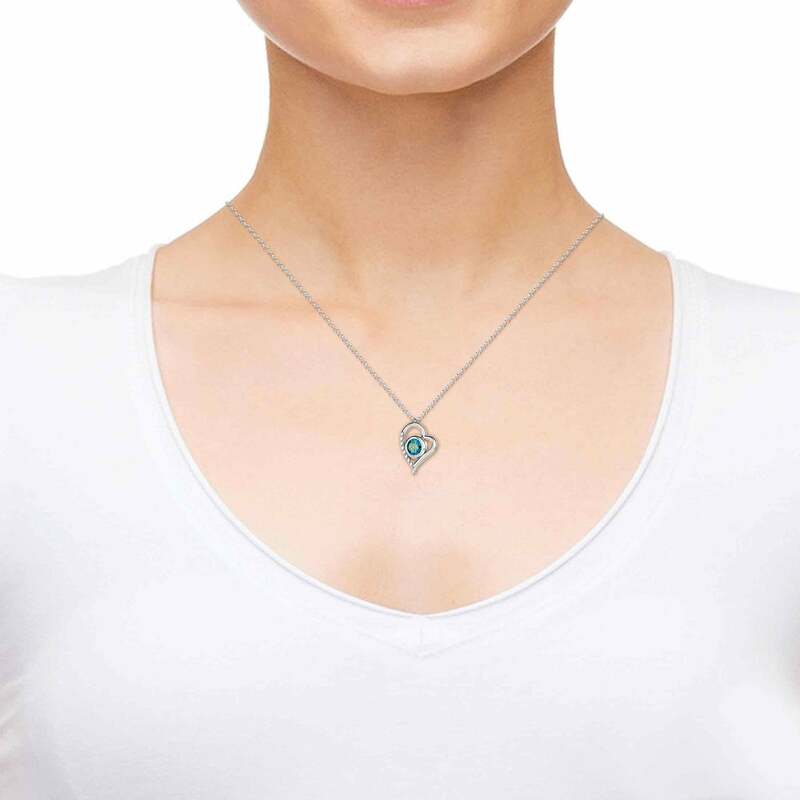 Show her exactly how you feel with this heart necklace. 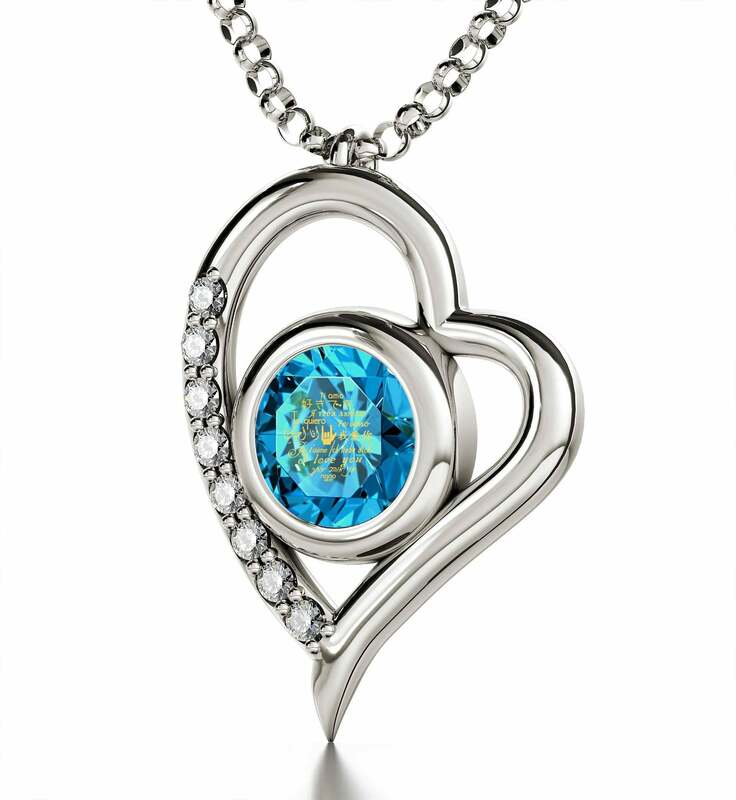 Special occasions such as holidays or birthdays remind us that our loved ones are all that matters and the reason we come home at the end of a tiring day. Those are the times when an intriguing anniversary present idea or cute birthday ideas for her have the power to deepen and strengthen your bond even further. There’s no one quite like your significant other, and a special silver necklace for her is one of the ways you can let her know this. 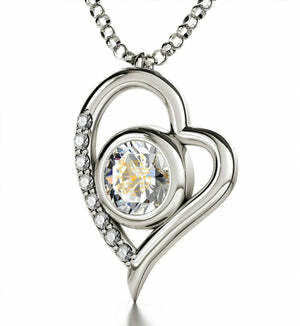 Its exquisite sterling silver heart frame is made even more beautiful by eight darling cubic zirconia stones. Suspended by an Italian Rolo chain which will look great on her once you clasp it shut for the first time. 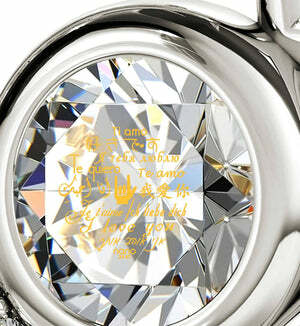 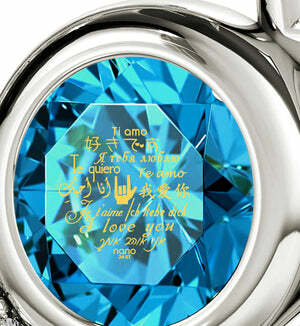 What makes this a piece of unusual jewelry is a lustrous Swarovski crystal at its heart, imprinted with the words “I Love You” in 24k pure gold in 12 different languages. Not only will this convey how strongly you feel, but the lettering is inscribed in a way that makes it last forever that no one else can achieve. If this isn’t material for best presents for girlfriends, then what is? To help her better uncover the secrets of love in other languages, she’ll also receive a magnifying glass specifically made for that purpose. Since it would hardly be a cool present without a fancy box that makes the experience complete, she’ll barely be able to contain herself once she sees this one. If you wrap it tastefully and present it to her at the heart of the festivities, you can be sure that the joy she’ll experience will hold no bounds.